Indoor sand moves as you work with it. Easy to shape into simple designs. Reduce stress and work fine-motor skills. A mesmerizing and open-ended experience. Kinetic Sand is a new tactile compound that breathes motion! It's the indoor sand that moves as you work with it. Easy to shape into simple designs and is a mesmerizing and open-ended experience where the play never ends! 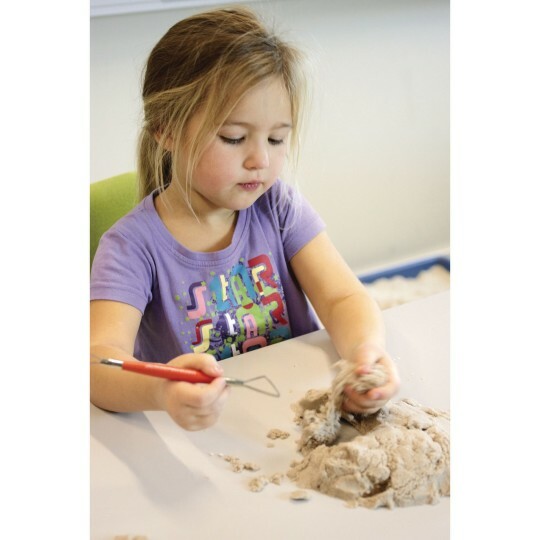 Working with the sand is stress reducing and therapeutic and works fine-motor skills. 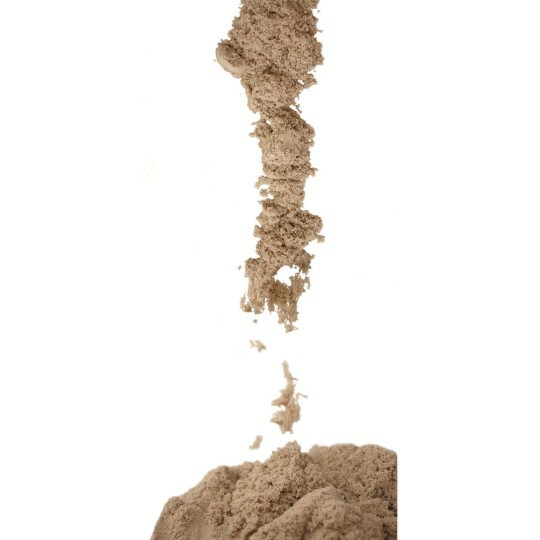 Kinetic Sand is made up of 98% pure sand. The secret to the movement is our patented binding agent. 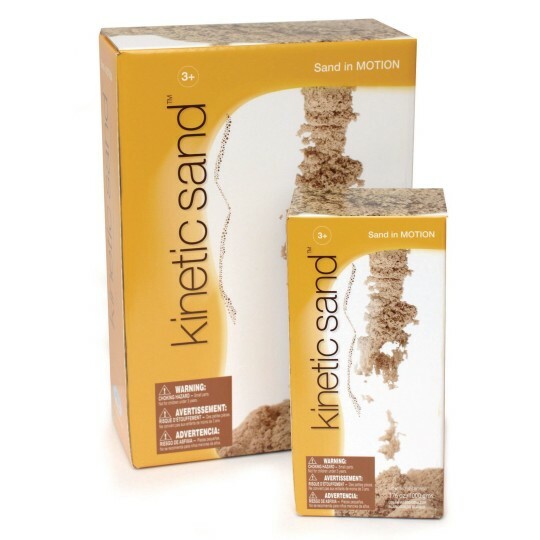 Kinetic Sand is thoroughly tested and conforms to and exceeds all US and European standards for safety. To clean, slightly spritz with a weak bleach and water solution. An ultraviolet light can be used as well. We use this during some of our story times for toddlers. They love the feel of it and making shapes and designs. They can play all they want and don't leave with sand on them so the parents and guardians love it also. We really like to play with it ourselves. It helps relieve stress! The kids love this. It is so much fun and best quality. 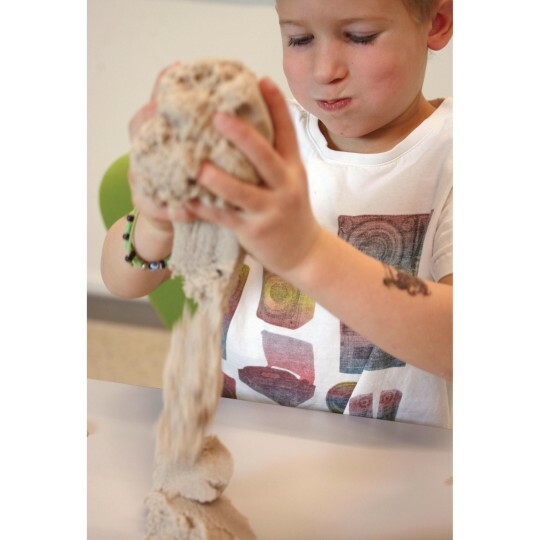 Kinetic sand has been a great addition to our sensory stimulation program. My residents LOVE it!! It soothes those with behaviors. We are so please with this product. 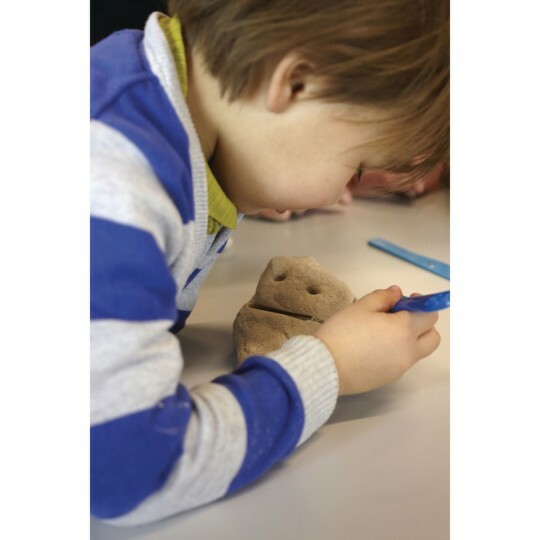 This is a perfect sensory activity. Add mini pails shovels molds to the sand in an under bed plastic storage bin and let the fun begin! Residents love it! We have sanitizing wipes on hand for before and after use. Residents request this time time again. Will be buying more very soon to expand activity area.